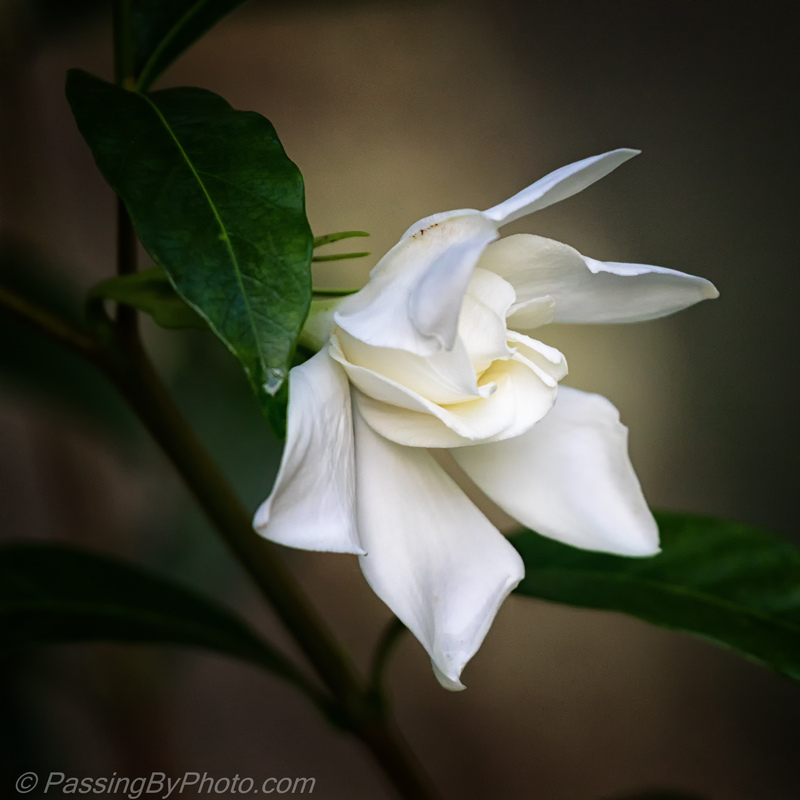 Stop and smell… the Gardenias. This single blossom was partly hidden at the side of the swamp trail. I’ll be sure to watch for future blooms and possibly seed pods as the season progresses. And yes, it smelled delightful. Lovely photo, I can almost pick up the scent. Thank you, Belinda. Now that I know where to look I hope to smell, and photograph, again. Same! Love the scent of gardenias! Great photo! Thank you! Amazing how photographs can trigger our other senses.